What about this: a tribe of asparagus children, but they’re self-conscious about the way their pee smells. It took me a few days to decide that I wanted to write this. It’s a little off-colour, but in the end it should be a little funny. I was at my Dad’s for dinner Sunday, as usual, and he served asparagus, as he often does. But this time was slightly different: when I went pee after dinner, as I often do, it smelled. Just a few minutes after eating. And again later that night. 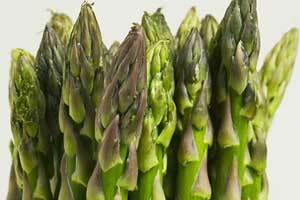 I don’t recall ever having smelly pee from asparagus, sometimes from coffee, but not from pee. Wikipedia tells me that this is entirely normal, including the rapid onset of the smell. So I’m alright with that. Are there any other good smelly pee stories out there? This entry was posted in Funny, People and tagged odour.